You can buy all the whiskies mentioned in the song at Heathrow Duty Free. Sweet! 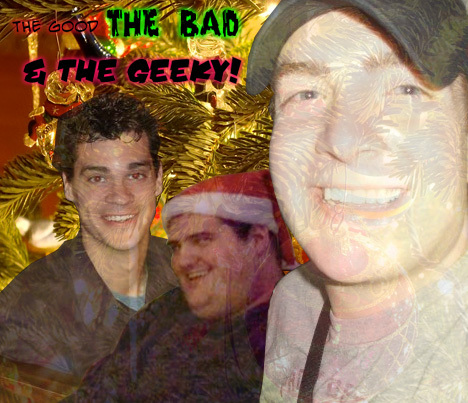 One of our songs, Ms. Nutcraker-Sweet, is featured on The Good, The Bad, and The Geeky's annual "Extreme Christmas Extravaganza" podcast. Tons of songs, laughs, and holiday extravagoodness! Some of the other musical guests include: our buddy JT Shea (on uke of course!) and 2 Drunks & A Guitar. There's also a fun rendition of Jonathan Coulton's Chiron Beta Prime. Beer! from Bret Gerding on Vimeo. Just discovered this video. Nice camera work, editing, and soundtrack! The song, "Beer Beer Beer" is from our album "Sham Rock" available at CDBaby and Amazon.